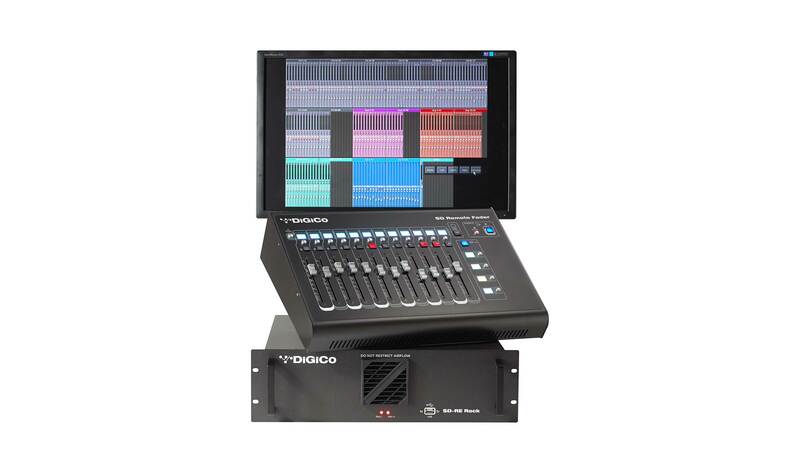 DiGiCo SD-RE Rack (EN) | PRO MUSIC, s.r.o. The SD-RE is a redundant engine for a DiGiCo SD10 console. It can connect to a 12-fader remote worksurface and a screen, keyboard and mouse. It provides the same type of redundancy option for an SD10 that is standard on our flagship, dual engine SD7. By simply connecting the compact, 3U box to the console with an Ethernet crossover cable and the system's audio racks using MADI or Optocore, the SD RE provides a seamless backup for the console. The console's control computer, audio engine, software application and important worksurface controls can all be duplicated on the redundant system, offering either automatic or manual switchover whenever it's required.